Your baby is growing... A TODDLER already! MIX and MATCH to create the perfect set for your little one. Although EACH component is available separately, you will SAVE by ordering our 4 piece set! NoTuck™ Top Sheet with elastic sewn into the hem at the bottom of the top sheet. This will keep the sheet on the bed, and will keep your toddler from tossing the top sheet off the bed at night. 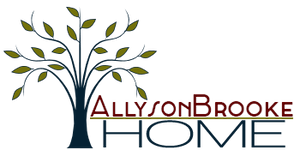 If you are ready to remove the rail of your crib or move your increasingly mobile little one to a Toddler Bed, you are going to LOVE Allyson Brooke Home Toddler Set Options! Welcome to the world of MIX and MATCH!